Join us on 4 May 2019 when our sci-fi inspired event series continues its international expansion with the first ever TECH ITCH RECORDINGS:Los Angeles - featuring a night of Sci-Fi Drum & Bass / Tech Step / Dark Jungle. Label boss Technical Itch will christen the night’s stateside debut with an outbreak from his lethal armory of sickening bass lines, appalling breaks and sinister atmospherics. Fellow UK drum & bass icon DJ Bailey joins the roster to demonstrate his masterful command of the dark side of the force. Decorated soldiers from LA’s junglist trenches will be deployed to ravage the future war hellscape. Otherworldly space-time distortions from the deep and dark Dimensional Dryft will set the mood while covering fire is unleashed from the maverick veteran known as Drone. Zonal presents 3 rooms of cutting edge underground electronic music, Dubstep represented by Uprise Audio , Drum and Bass by Tech Itch Recordings and Jungle by Ruffneck Ting. Our first London event of 2019 celebrates the release of Paragon’s Iris LP which features collaborations with a slew of Tech Itch artists including DJ E, Voyage, Code 906, Indidjinous & Zigril as well as label newcomers Cypher & Furious. The notorious Source Direct is returning for his second appearance at Rolling Stock promising another jolt of his frenetic, dark energy. Fresh off his infectious Frontiers EP on DSCI4, Cypher can be counted on to deliver an invasion of 90’s era-inspired evil tech rollers. Armed with dubs from the depths, Danger Chamber label boss Y2 will be gracing the decks as well, backed up by veteran techstepper Operator and resident support from the man known as Structure. 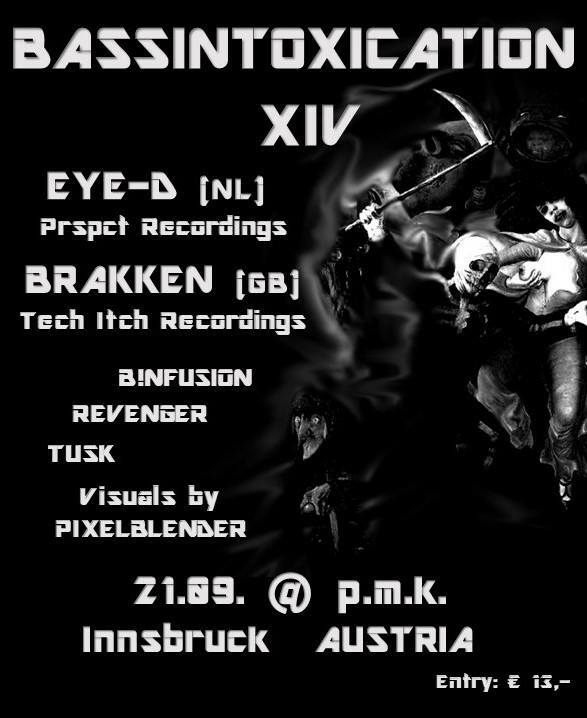 Vocal icon Blackeye MC will be hosting this latest installment of the techstep renaissance. Join us!